My first Memphis vampire novel, Blood Groove, was dedicated to the memory of Duncan Browne (read why here). Browne remains a fairly obscure musical figure, although I hope I’ve nudged a few people toward seeking out his work. But The Girls with Games of Blood is dedicated to one much better known, whose songs helped define the Sixties, even if those songs were performed by other people. 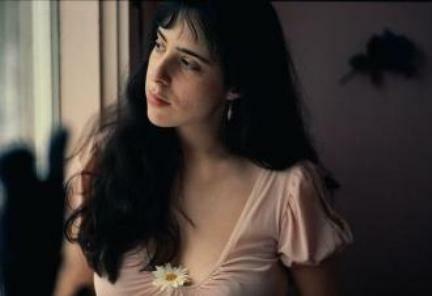 Laura Nyro wrote classics: “Eli’s Coming,” “And When I Die,” “Stoney End,” “Wedding Bell Blues.” And while her versions languished in relative obscurity, cover versions (Three Dog Night, Blood, Sweat and Tears, Barbra Streisand, The Fifth Dimension) were enormous hits, insuring both her reputation and her economic security. Safe from the pressures of commercial hitmaking, she created a piano-driven, soul-based body of work that, in its willful difficulty and self-referential symbolism, predated similar performers (most notably Tori Amos) by twenty years. Tragically, she died of ovarian cancer in 1997 at age 49, the same age her mother died of the same disease. I had written an early draft of Blood Groove just before Goodman’s book came out in 1998, and was toying with the idea of a sequel based on the idea of two girl vampires fighting over Zginski. There was no story yet, and no clear concept of the new characters. But the description in Goodman’s book stuck with me. Somehow the image from Goodman’s book clicked with this snippet of lyric and created, full-blown in one burst, the character of Patience (as well as providing her onstage catchphrase). She’s not a direct copy of Nyro, of course; in fact, she ultimately has very little in common with her inspiration beyond a basic physical resemblance. But without Laura Nyro, there would be no Patience Bolade. And without Patience, there would be no Girls with Games of Blood. Leave a comment on the last vintage musician you rediscovered and you might win a signed copy of the new book. I have "rediscovered" Carol King. Her music hit a chord with me as a young women and now that I am in 50's I appreciate it even more. I strongly relate to the musical influence in our writing world. For me I discovered Joy Division almost 10 years after the lead singer Ian Curtis took his own life, but the grim refrains echo in my writing whenever I get to a delightfully melancholy point.